LASIK (laser in-situ keratomileusis) is a safe and effective eye surgery used to correct refractive errors, improve your vision and reduce your need for contact lenses and prescription eye glasses. During Lasik surgery, a trained eye surgeon uses a laser to reshape the cornea of your eye (a clear covering that protects your eye from damage and helps your see clearly) and correct your vision. Most people are good candidates for this surgery, but Lasik surgery may not be suitable for everyone. More specifically, Lasik surgery may not be effective if you have severe refractive errors, especially if you have been diagnosed with myopia and presbyopia (i.e. nearsightedness) up to -12D, hyperopia (i.e. farsightedness) up to +6D and astigmatism up to 6D. Why? Well, it is very difficult, if not impossible, for most ophthalmologists and eye surgeons to rectify severe refractive errors. It is also important to note that although, Lasik surgery eliminates the need for contact lenses and prescription eye glasses in the majority of people, there is a chance that you may still be somewhat dependent on these corrective lenses. There is also a chance that the surgery will not provide you with “perfect vision.” Moreover, the time it takes to heal properly from the surgery varies, depending on your health, age and the condition of your eyes before the procedure. Are you wondering if you are a good candidate for Lasik surgery? If the answer is yes, you have come to the right place. This article will help you determine if you are a good candidate for Lasik surgery. How old are you? Unless you are 18 years old or older, you may not be a good candidate for Lasik surgery. 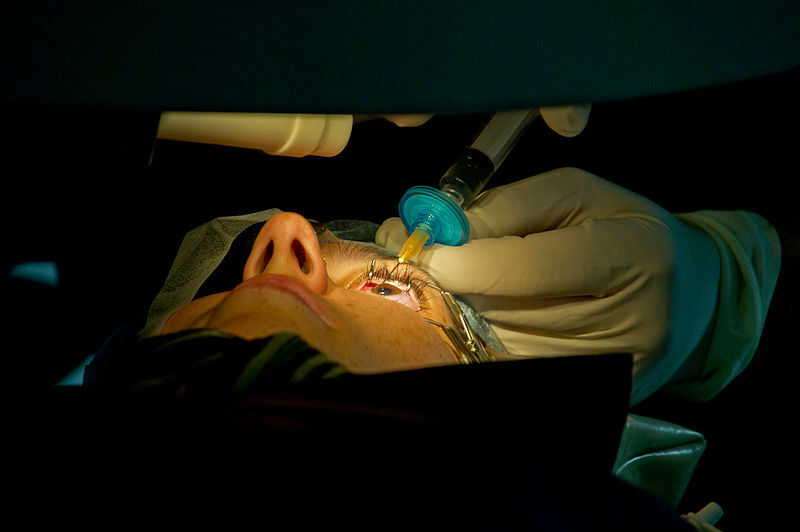 The Food & Drug Administration (FDA) requires that a patient be at least 18 years old before having Lasik surgery. Why? Well, because most children and teens, under the age of 18, do not have stable vision. In other words, if you are under 18 years old, your vision may not be fully developed. Unstable vision (i.e. changing vision) can render the surgery ineffective and/or unsafe. In addition, if you are over the age of 40, you may not be a good candidate for Lasik. Why? Well, once you hit 40 years old, your eyes change again and your risk of presbyopia and other eye condition increases. Moreover, once you hit 60 years old, your vision changes yet again and your risk of deteriorating vision and cataracts skyrockets. It is important to say that not all middle-age and older adults develop eye conditions and/or cataracts, in fact, some older adults, with healthy eyes and stable vision are very good candidates for Lasik surgery. If you are an older adult and wondering if you are still eligible for Lasik surgery – schedule a complete eye exam with an ophthalmologist (i.e. eye doctor). Lastly, there have been cases in which an eye surgeon performed Lasik surgery on patients under the age of 18, but this is rare and only an option when the child’s or teen’s vision will be permanently impaired or eliminated without it. Are you pregnant or breastfeeding? If so, you may not be a good candidate for Lasik surgery. Why? Well, the laser used to perform the surgery may negatively affect your unborn baby or your baby’s health. In other words, the laser enters your body through your eyes, which can cause birth defects in infants. Do you have any medical conditions? If the answer is “yes,” you may not be a good candidate for Lasik surgery. What conditions will render my ineligible for Lasik surgery? Well, medical conditions like corneal diseases, advanced glaucoma, autoimmune disorders like lupus, rheumatoid arthritis, Crohn’s disease ocular hypertension, macular degeneration (i.e. age-related vision loss), ocular herpes simplex and hepatitis not only increase your risk of side-effects and complications, they also can delay the healing process. If you have ocular herpes (i.e. herpes in the eye), you will be ineligible for Lasik surgery until you have been treated and a year has passed. Do you take any over-the-counter or prescription medications? If so, you may not be a good candidate for Lasik surgery. Prescription steroids (i.e. prednisone) and some anti-inflammatories (i.e. Advil, Naproxen, aspirin, etc.) can cause additional bleeding, negatively affect your condition, increase side-effects and complications and delay the healing process. Lastly, how is your vision? If you vision has been stable (i.e. unchanging) for at least two years, you may be a good candidate for Lasik eye surgery. In order to have Lasik surgery you need to have stable vision for at least 24 months. If your eyes are constantly changing, it can cause the surgery to be ineffective. This surgery is most beneficial if you are nearsighted, farsighted and/or have an astigmatism (i.e. an abnormally shaped cornea). This surgery is not recommended for those with chronic dry eyes, overly large pupils, too thin corneas and a history of refractive surgeries. ← How Can Crystalens Benefit Me?